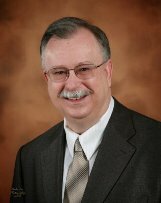 J. Richard Claywell, CPA, Harris County Texas Business Appraiser is the first professional in private practice in the Houston/Harris County area to earn the prestigious new senior business appraisal designation, Accredited in Business Appraisal Review (ABAR), awarded by the Institute of Business Appraisers (IBA). ABARs are considered the expert’s expert. The IBA is the nationally-recognized pioneer organization of business appraisal in the U.S. Only fifty-five applicants have earned the ABAR designation worldwide, which is the only credential that specifically qualifies its holders to issue an opinion on the credibility of business appraisal reports prepared by other appraisers in accordance with newly standardized appraisal review practices. Appraisal organizations quietly acknowledge that far too many questionable appraisal reports are accepted at face value, some prepared by credentialed appraisers. No state licensing exists for business appraisers, so the public is not protected from unsupportable valuations prepared by non-credentialed CPAs, business brokers and opportunists on the internet. To be eligible, ABAR candidates must currently hold a valid business appraisal designation, must be a member in good standing of the Institute of Business Appraisers and have earned a four-year college degree or equivalent. They must complete a rigorous training program, pass a qualifying examination, submit their qualifying Business Appraisal Review Report for acceptance by the ABAR Qualifications Review Committee, and undergo a reference check and a due diligence process. The ABAR designation confers serious responsibilities and authority to its holders, so the Institute of Business Appraisers instituted a unique safeguard. It is the only appraisal designation that requires candidates to sign an oath before receiving their credential. J. Richard Claywell, CPA, ABV, ASA, CBA, CVA, CM&AA, CFFA, CFD, ABAR is based in the Houston Texas area. Mr. Claywell specializes in Estate and Gift valuations, Economic Damages, determining the Adequacy of Life Insurance for Buy/Sell Agreements, valuing Family Limited Partnerships, testing of Goodwill Impairment, Divorce valuations, Dissenting Shareholder valuations, Split-Up’s and Spin-Off’s of companies, and Exit Planning. Mr. Claywell is qualified to assist in Business Valuation and Damages Cases Malpractice Support, business Valuations / Business Appraisal Reviews in Litigation, Business Valuation Standards Compliance Reviews, Mediation and Arbitration, Expert Witness Testimony, Consulting Expert, Firm Quality Control Reviews, and Expert Screening for Attorneys. J. Richard Claywell is the co-author of Capitalization and Discount Rates: The Value of Risk, co-author of Business Valuation Strategies, and a contributing author of the NACVA Fundamentals Theory & Techniques training materials. Richard is also the Director of Education for IACVA. Richard is responsible for all IACVA business valuation course materials for all countries Outside the USA. Richard has made presentations of business valuation topics in Germany and China and Taiwan. Richard is also a contributing editor to Practitioners Publishing Company’s Guide to Practical Estate Planning (2008). Richard is the chief architect for Business Valuation Manager Pro business valuation software program and the accompanying Professional Report Writer. Richard can be reached at 281.488.7531.